Australia was once part of the super-continent Gondwana–named by the 19th century Austrian geologist Eduard Suess after a district in India. 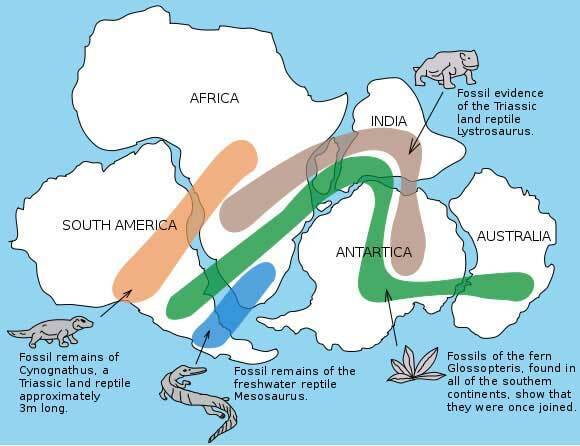 Suess had noticed striking geological similarities to Gondwana scattered around the Southern Hemisphere. 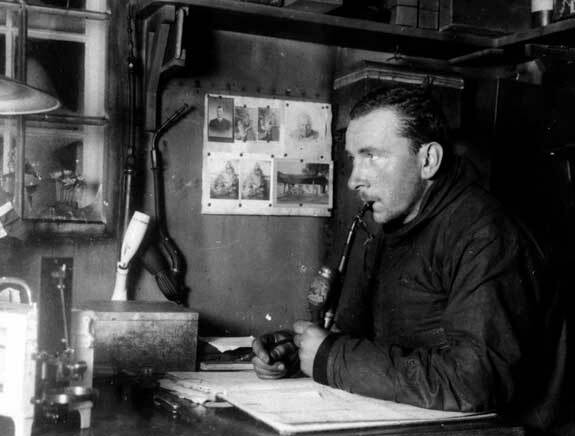 In 1912, offering a radical break with traditional geology, German meteorologist Alfred Wegener first proposed the theory of continental drift. For several decades the theory was derided, or more often ignored, until research in the 1960s overwhelmingly established its validity. Much of the early evidence was based on fossil record continuity across continents that are now widely separated. The startling geographic fact that some of the continents appeared to fit together, almost as jigsaw puzzle pieces, added credibility to the theory. Geologists now believe that all the continents in the world massed together 300 to 250 million years ago in the mega-continent Pangaea, a single island in an immense ocean called Panthalassa. That date coincides with massive extinctions at the end of the Paleozoic that wiped out 70% of land animals and perhaps 90% of all marine species on earth. Certain evidence indicates that high altitude plateaus and immensely deep oceans combined to severely challenge global ecosystems. Some paleontologists argue that massive volcanic eruptions called the Siberian Traps were the primary killer. These basalt eruptions covered 2.5-million sq. km—the largest known in earth’s history. Analogous to the Cretaceous-Tertiary (K-T) extinction, some evidence has arisen that a huge asteroid strike could have triggered methane release, driving catastrophic global warming. Recent studies suggest two mass extinctions at the end of the Permian, with oceanic anoxia and greenhouse warming as possible keys to understanding this massive, possibly drawn-out, die-off. Only a paltry few vertebrate species survived the terminus, a handful of ‘disaster taxa’, leading to boom-bust cycles in the food supply. Ecosystems may have taken 8 million years to fully stabilize, to escape this cycle of catastrophe. For more details, Paleontologist Peter Ward, who researches mass extinctions, has written the book Under a Green Sky, an overview of the Permian mass extinction. His lecture under the same title, covering ‘Deep Time’ extinction events and their relevance to anthropogenic climate disruptions, can be viewed on Vimeo. Australia has some of the oldest geological and fossil sites in the world. In the Napier Range of northwestern Australia, for instance, is an ancient reef system 360 million years old that rivaled the Great Barrier Reef in size. Life combined oxygen and calcium, sequestering billions of tons of material in this range. The Hamersley Range in the Pilbara is a 2.5 billion year old seabed composed of rusty deposits that precipitated out of the iron rich seas as bacteria released oxygen and transformed the entire earth and all of life. Although remote and rugged, the region is electric with vivid colors. Reg Morrison describes the area with the eye of a photographer: “Viewed from the air, the flat-topped Hamersleys sprawl across the ancient Pilbara Plateau like a cluster of tribal scars, raised and livid. Where erosion has torn open their flanks, their gaudy, iron-rich gravel spills out and pools on the plains like congealed blood. Dusted with green-gold grasses and sprinkled with white-stemmed ghost gums, the Hamersleys flaunt their color with an extravagance that borders on the surreal.”1. Geobiologist Nora Noffke, an expert on microbially induced sedimentary structure (MISS), has discovered what may be the oldest signs of life on earth in the Dresser Formation of Western Australia, which dates to 3.5 billion years ago. Australia has other extraordinary ancient fossil sites. In 1946, Reginald Sprigg discovered strange fossil impressions in the Flinders Range. These enigmatic Ediacaran fossils, from the Precambrian, turned out to be the world’s oldest multicellular life forms; some appeared similar, in shape at least, to sponges or jellyfish, others looked like flowery fronds. All were soft, lacking hard parts, and the age seemed free of predators. Their phylogenetic relationship to subsequent life is still controversial. Although difficult to imagine today, glaciers have covered Australia on three separate occasions, and left debris scattered across the arid interior. In the far north of South Australia, at Chambers Bluff, glacial deposits in the form of granite boulders worn smooth and rounded can be observed in an area or hard-edged rocks. Known as dropstones, these boulders dropped from floating icebergs in the inland seas that covered much of Australia. In a period of expansive glaciation known as the Cryogenian, dating from 850-630 million years ago, much of the planet seems to have been deeply frozen. In its most extreme interpretation, colloquially know as ‘snowball earth’, even the tropics were frozen under ice. A less extreme version, ‘slushball earth’, counters that open areas in the tropical oceans permitted photosynthesis to continue. In an intense glaciation around 750 million years ago, the ice sheet covering Australia was as thick as the one covering Antarctica today. 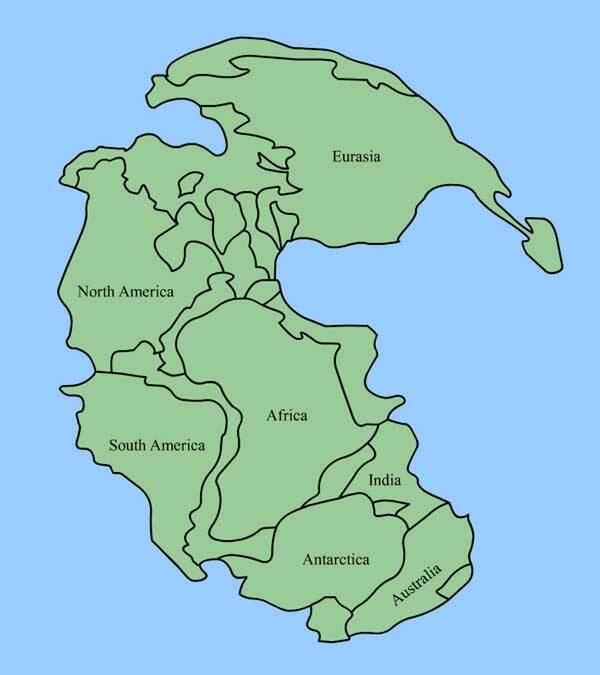 Around 180 million years ago Pangaea broke into the two super-continents Gondwana and Laurasia. Gondwana consisted of Australia, Antarctica, Africa, South America, India, and Madagascar; Laurasia included North American, Greenland, and Eurasia. Then Gondwana, driven by powerful tectonic plates, began to fissure around 130 million years ago. Australia finally released its grip on Antarctica about 50 million years ago and continued its regal march north toward the equator. India, free of Gondwana, crashed into Asia at the speed of 4 inches a year; the gargantuan force of the colliding plates creating the Himalayas, the highest mountain ranges in the world. Australia itself crashed into the Sunda Shelf tectonic plate 15 million years ago. The plate buckled upward, creating the New Guinea highlands. Australian species moved north and some Asian species made their way into Australia. Bats, possessed of flight, had entered Australia far earlier. Until recently paleontologists believed that bats had flapped into Australian airspace 35 million years ago. However, the Murgon Bat, a fossil found in Queensland, has pushed that date back to 55 million years. Only a few million years ago rodents drifted over from Asia—probably on storm-driven trees–and radiated into new niches. Although marsupials still controlled the vast majority of niches, placental mammals gained a foothold. Australia has warmed and dried in the last few million years. Its ancient forests have shrunk leaving the continent the oldest, flattest and most arid in the world. But Australia’s droughts and floods do not occur in isolation; its weather cycles are linked to currents and temperatures in the Pacific Ocean, to Asian monsoons, and to the weather streaming across the Americas. This climate phenomenon is most clearly seen in the El Nino-Southern Oscillation. Ocean warming that produces flooding from California to Peru can cause monsoon failures and droughts in Australia. Australian rainfall over much of the interior is linked in a feast or famine mode: years of drought can be broken by immense floods—only to quickly lapse back into dusty droughts. Australian fauna and flora, facing these brutal and erratic cycles, have adapted as much as possible. Drought, in fact, has undoubtedly played a role in the dominance of lizards and snakes as predators in Australian ecosystems. Because of their low metabolism and their ability to aestivate during periods of drought, when mammals and birds still need food and water, reptiles have a physiological advantage in Australia’s harsh climates. For lizard lovers, Australia is nirvana, the next best thing to time travel back to the Cretaceous. Lizards play a prime predatory role in many ecosystems that are dominated elsewhere in the world by mammals. 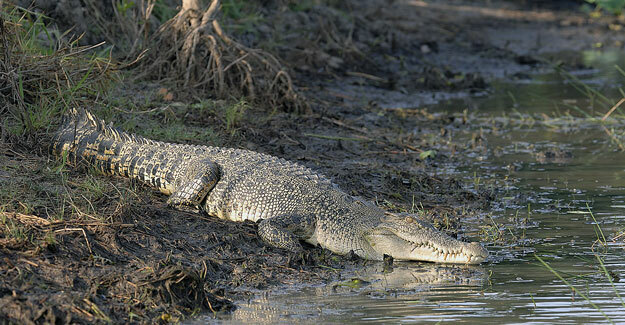 Crocodiles, an order dating back to the age of the dinosaurs, are still the top predators in freshwater and saline habitats throughout tropical Australia. 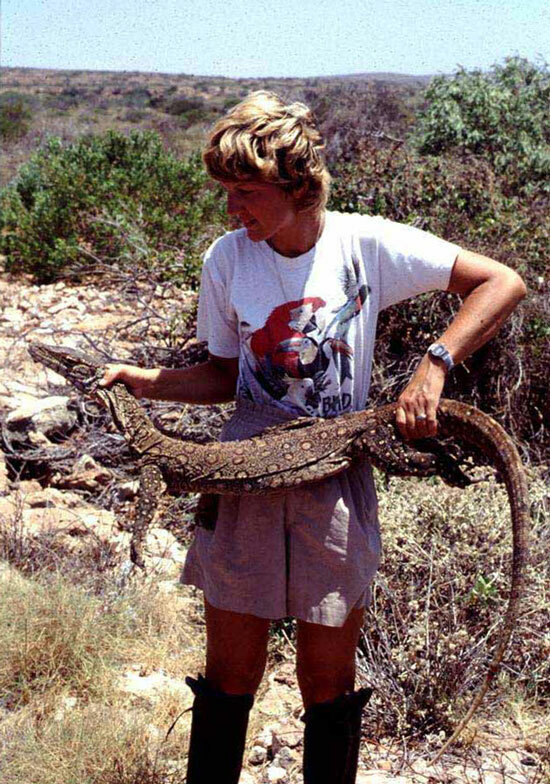 Given the chance, large salt-water crocs (Crocodylus porosus) are never shy about seizing a nice soft, relatively hairless human as a pleasant addition to the diet. To a giant croc, a human, free of matted fur or horns and spines to tickle the throat, must melt in the mouth like a plump bonbon. Australia is also a continent where fire—both natural and man-made—has shaped most ecosystems. The Eucalypts, the most distinctly Australian of all its trees, are one of the most fire-adapted genera in the world. This is detailed in Stephen J. Pyne’s classic book, Burning Bush, a fire history of Australia. 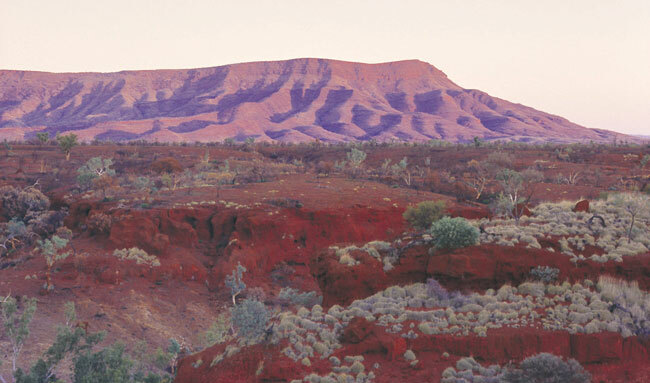 After the final breakup of Gondwana, increasing aridity in Australia chased the ancestral rainforests into isolated pockets. 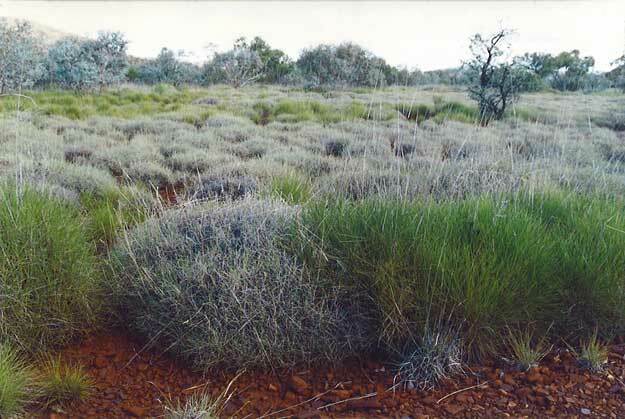 Sclerophylls (literally “hard leaves”) with tough evergreen leaves adapted to arid conditions. Due to a lack of tectonic forces, glaciations, and mountain building, Australia also suffers from soil impoverishment. It is depleted of phosphorus and numerous trace elements such a copper, molybdenum, cobalt, and boron. As Pyne puts it, “Australia’s biologic renaissance had to rise out of a geologic decadence.”2. Probably the most remarkable success story of this regimen of fire is the eucalypts. Around 20,000 years ago both eucalypt pollen and charcoal rise dramatically. By the time Europeans arrived, Eucalyptus comprised perhaps 95% of native tree species. They thrived everywhere from the mountains to the tropics, absent only in relict rainforest. With wandering roots well adapted to getting nutrients from impoverished soils, eucalypts adore fire. Fire both burns away competitors and releases nutrients. The oil, bark and leaves actually feed the flames, encouraging burning. Afterwards, the eucalypts, even heavily charred, spring right back from lignotubers attached to their root system. Other species of plants, animals, and birds were forced to adapt to this kingdom of fire. The eucalypts, finding efflorescence and ecstasy in fire, are pyromaniacs. This is, in large part, why Australia suffers such horrific bush fires. 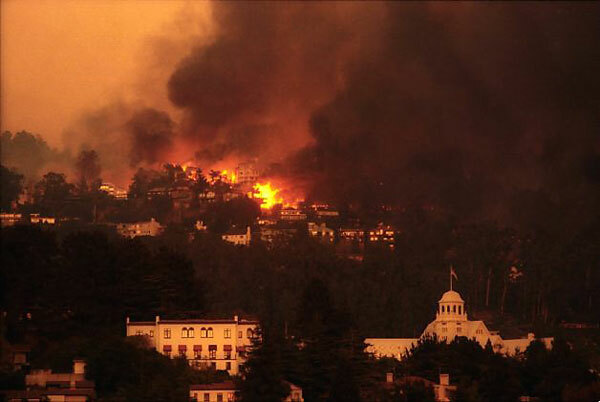 More benign seasonal fires, worsened by long droughts, become conflagrations–firestorms beyond all control. Eucalypts, planted as decorative and commercial trees, have spread around the world; Mediterranean climates are ideal for them, and they grow explosively. Their love for fire, however, goes with them. Eucalypts, with their towering branches, gray-green leaves, and the pungent but pleasant odor of their rich oils, are magnificent trees; not necessarily a wise choice, however, to plant around your home without accounting for their pyrophilia. Australian zoologist Tim Flannery writes elegantly on wildlife, ecology, paleontology, anthropology, government policy, and even history. In a series of wide-ranging books, Flannery appears to be as fecund as the late Harvard paleontologist Stephen Jay Gould. In perhaps his most important work, he highlights the impact that humans have had on the environment and wildlife of Australia. The Aboriginal people, in his view, wiped out much of the megafauna even before the arrival of the Europeans. The European impact on the fragile ecosystems of Australia—mainly a result of over-grazing by sheep and cattle–has devastated much of the native wildlife. In addition, the introduction of invasive species such as the fox, rabbit, camel, and the common housecat destroyed many indigenous species. Flannery documents the case that the Aborigines, as well as the Maori of New Zealand, seriously altered environments and hunted many large species of mammals, reptiles, and birds into extinction.3. 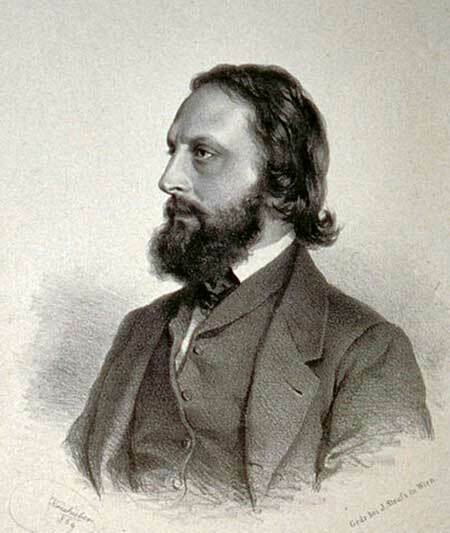 Ecologist Paul S. Martin of the University of Arizona has long argued that the destruction of the megafauna of the Americas—creatures such as the wooly mammoth and giant ground sloth—was mainly caused by efficient human hunters migrating into the New World in a blitzkrieg. Flannery echoes this theory to explain the destruction of the Australian megafauna—creatures as diverse as ten foot tall kangaroos, wombats the size of hippos, marsupial ‘lions’, and bizarre giant land tortoises. Both Native Americans and Australian Aborigines are sometimes portrayed, quixotically, as having lived in total balance with nature before the arrival of voracious Europeans with their industrial technology and greed-based economic systems. Although partly valid, this view is naïve and simplistic. There is compelling evidence, in fact, that humans in both the Americas and Australia had devastating impacts on native animals—especially the so-called megafauna. These are the large charismatic beasts, mainly mammals, which today attract the most visitors at the zoo. 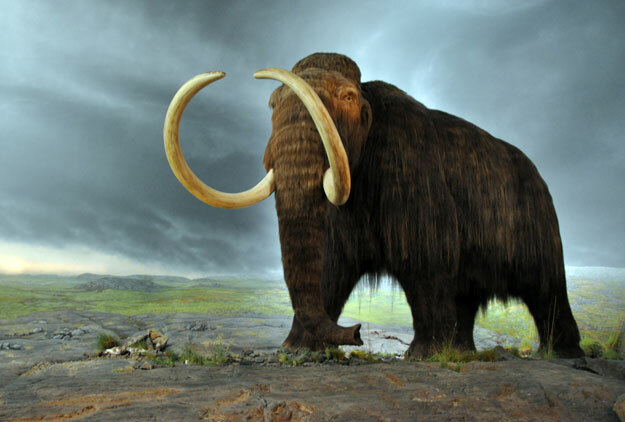 Paul Martin of the University of Arizona has argued that human hunting caused the extinctions in the Americas of fauna such as mammoths, mastodons, and giant ground sloths. 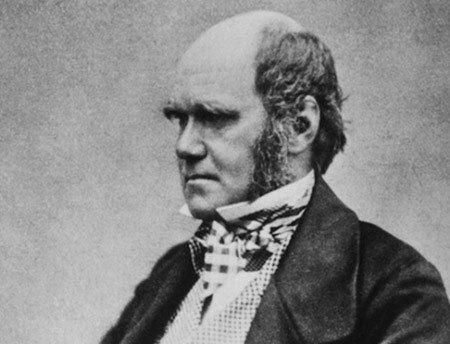 Other researchers maintain that the end of the Ice Age and rapid climate change played the major role. Whatever the real cause, Martin points out that the Americas, now devoid of these large species, suffer from a depleted environment. Australia suffered even more extensive loss of its megafauna after the arrival of humans. A unique giant armored turtle disappeared. Giant carnivorous kangaroos, hippo sized wombats, massive wallabies, and the huge monitor lizard, all disappeared. The introduction of the dingo, a superb hunter, also hastened the extinction of many native species, possibly including the astounding Thylacine—the marsupial wolf. The dingo, which was sometimes domesticated, was believed to have arrived only 4000 years ago with Indonesian traders. New evidence, based on mitochondrial DNA, suggests that dingoes originated in China 18,000 years ago and probably reached Australia far earlier than had been assumed. The case for Aboriginal destruction of the megafauna of Australia is persuasive. Why did the huge mammals of Africa and Eurasia, however, generally survive while so many species in Australia and the Americas perished? Most plausibly, the fauna of these Old World continents shared them with human ancestors for a million years, and in Africa even longer. Wildlife had a chance to adapt as humans evolved and became more lethal. These species encountered a sundry of early Hominids and eventually faced Homo erectus as they spread across Eurasia. Later animals had to cope with Neanderthals and Homo sapiens hunters. But humans entered Australia with advanced hunting techniques that probably included spear-throwers. With no time to adapt to these strange new predators, large naive animals were hunted to extinction. More recently, this blitzkrieg phenomenon has been repeated even more destructively on marvelous island worlds such as New Zealand and Madagascar.4. In The Future Eaters, Flannery details the Maori feeding frenzy that obliterated the unique giant flightless birds of New Zealand. Flannery maintains, however, that it is the European invasion that truly threatens Australia’s future capacity to support both its indigenous wildlife and its burgeoning human population. He writes, “The figures are simple but shocking: of the 60 mammal species that have become extinct in the last 500 years, 20 were Australian. Indeed, in the field of animal conservation, Australia’s record is deplorable. No other country has so rapidly put so much of its wildlife under threat.”5. Flannery’s research dovetails with Pyne’s work on the fire history of Australia. Flannery argues, “For 40,000 years, Aboriginal people practiced fire-stick farming throughout Australia. Continuously, they lit small and comparatively cool fires, burning the land in a complex mosaic, flushing out game. Surprisingly…these small fires benefited most of the animals, encouraging their food supplies and ensuring shelter. In turn, the Aborigines were guaranteed a constant food source. More importantly, perhaps, controlled burning meant that large fires were prevented. When Europeans forced Aborigines off their lands, the vegetation built up enormously. Following good seasons, vast wildfires broke out, burning millions of hectares in the arid zone. Although birds and kangaroos migrated, middle-sized mammals could not…eventually they became extinct throughout their range.” The problems persist even in areas such as the Kakadu National Park, which is suffering a precipitous decline in mammal biodiversity. One can only look at the lists of extinct Australian mammals with wistful sadness. Even the names are strange and magical: the Crescent Nail-tail Wallaby, Desert Bandicoot, Desert Rat-Kangaroo, Eastern Hare-wallaby, Pig-footed Bandicoot, Thylacine, Toolache Wallaby, and White-footed Rabbit-rat. Endangered species are also a colorfully named bunch: Banded Hare-wallaby, Bilby, Burrowing Bettong, Dibbler, Ghost Bat, Greater Stick-nest Rat, Leadbeater’s Possum, Long-footed potoroo, Long-tailed Dunnart, Numbat, Orange Horseshoe Bat, Western Quoll, Western Barred Bandicoot, and the Northern Hairy-nosed Wombat. The summary of threatened species in Australia’s Vanishing Mammals runs on for pages. Could some of these ecological niches be filled? Looking at the gap in North American megafauna, Dr. Martin advocates the release of wild elephants into the Southwest. Imagine elephants, if you can, grazing along the Gila or San Pedro rivers of Arizona. What a wonderful idea but surely too visionary for selfish humans. Can you imagine ranchers, already apoplectic over reintroduced wolves, going for wild herds of elephants? Can you imagine politicians, already the craven servants of financial powers, daring to suggest such a visionary plan? Elephants do not have corporate lobbyists nor can they make campaign contributions; elephants, nonetheless, belong in the Americas. Can you imagine these grand animals wandering our landscape? 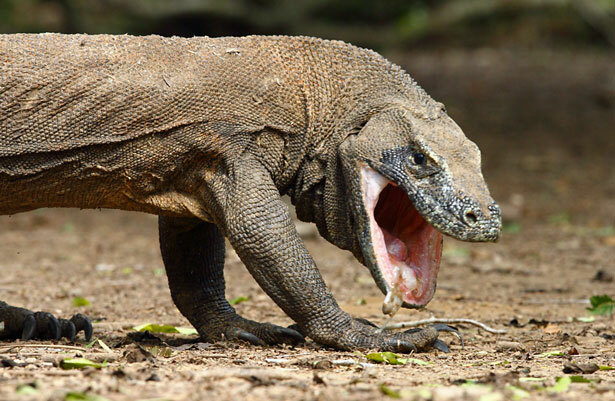 Flannery, remarkably, may even outdo Martin: he suggests releasing Komodo dragons into the empty ecological niche in North Australia once filled by Megalania. Then bring in the tourists and let the fun begin. Reg Morrison, Spirit in the Gene, Cornell University Press, 1999. Stephen J. Pyne, Burning Bush, Henry Holt & Co. 1991. Tim Flannery, The Future Eaters, Reed Books, 1994. David Quammen, The Song of the Dodo: Island Biogeography in the Age of Extinction, 1997. Tim Flannery, Australia’s Vanishing Mammals, RD Press, 1990. Australia, Darwin, dragon, echidna, elephant, Flannery, Gondwana, komodo, lizards, mammoth, marsupial, pangaea, placental, Suess, Wegener. Bookmark.